The Kettler elliptical crosstrainer Skylon 2 is the beginner model of the approved and now optimised Kettler Skylon series. The new training computer offers an easy menu navigation, 10 programmes, and sufficient memory for a high level of comfort for an intuitive training control. 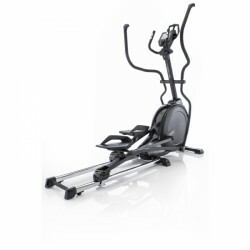 Training for all ages and training levels: The Kettler elliptical cross trainer Skylon 3.1 is best for cardio training and for strengthening the cardiovascular system. The valuable training computer makes an easy and intutive training control possible. The Skylon 10 convinces by a top workmanship and components „Made in Germany“ as well as by the new interactive Premium display. It includes all functions of the Advanced display and many more exciting programmes in addition, for instance HIIT training, Challenge training, and numberless configuration possibilities in the programme editor. Switch between the speed dependent and the speed independent mode of the Skylon 10 in few steps. The 22 kg balance mass system guarantees a smooth concentric run. 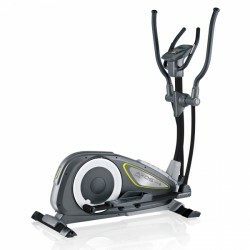 The Kettler Unix 10 offers the possibility of a very complete and diversified cardio training on a small space. 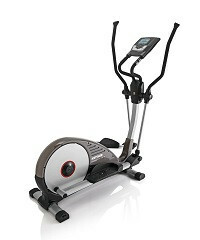 The new Premium display and the quality of a product which is „Made in Germany“ are good arguments for purchasing a Kettler elliptical cross trainer Unix 10. 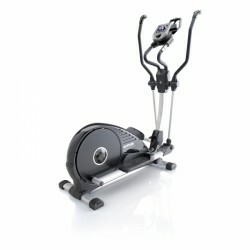 The Kettler CTR 5 is a great elliptical cross trainer for all those, who want to do something for their health. The Kettler elliptical cross trainer CTR 5 offers diversified programmes and an easy operation - the best condition to keep in shape with regular cardio training at home. The Kettler Unix 10 EXT is designed on the basis of the Unix 10. In addition, it is equipped with the Extended Motion Technology. It provides a movement that is very close to the course of movement when doing cross-country skiing. It's cross-country skiing on an elliptical cross trainer "Made in Germany“. 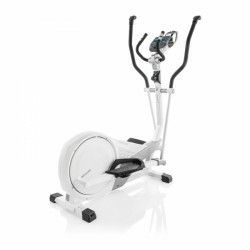 The Kettler elliptical cross trainer Axos P is a good elliptical cross trainer for beginners and leisure sportsmen. 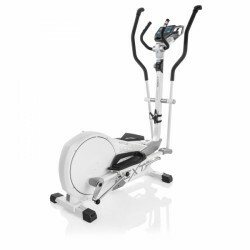 The motor driven magnetic brake system and a balance mass of 18 kg of the Kettler elliptical cross trainer P provide a smooth and gentle concentric run. 12 training programs offer diversion while exercising; these are controlled via 16 computer controlled resistance levels. 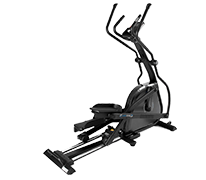 The Kettler elliptical cross trainer Axos Cross P has a balance mass of 14 kg for a smooth concentric run and 12 programs for motivating workout sessions. Up to 4 persons can save data and recall while exercising. The clear LCD display offers excellent overview about important training data. 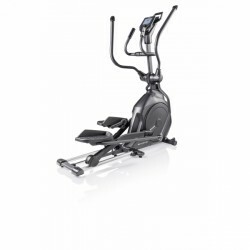 Kettler elliptical cross trainers are effective fitness machines, which demand all big muscle groups and support the fat metabolism optimally. Kettler attaches great importance to a high-quality and ergonomic design in producing its elliptical cross trainers in order to ensure an optimal and very joint-gentle course of motion while exercising. 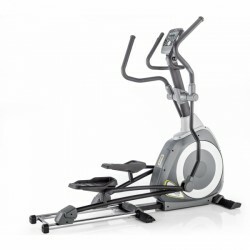 Thus Kettler elliptical cross trainers provide a unique training experience of long-lasting fun. Train especially your lets, gluteal muscles and hips with a Kettler elliptical cross trainer. Due to the combined torso training, your arms, shoulders, chest, and back are strengthened simultaneously. A Kettler elliptical cross trainer becomes a real fitness allrounder, which is your partner on your way to a better health and higher physical well-being. 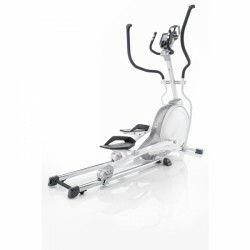 Kettler elliptical cross trainers convince by their good technical equipment and offer a precise magnetic brake system with infinitely variable load setting. You can always decide individually at which intensity you do your cardio training with an elliptical cross trainer of Kettler. Due to the simultaneous demand of several muscle groups, you do not only sweat quickly but also lose quickly calories, because the energy needs of the body increases many times over. Depending upon the respective settings, you can burn up to 600 calories for a normal session of one hour with a Kettler elliptical cross trainer. Either young or old, beginner of pro, Kettler offers the appropriate elliptical cross trainer for everyone and is very popular among fans of cardiological workouts due to its wide range of offers. We recommend the Kettler elliptical cross trainer Unix M for beginners, which is ideal for the first steps of a cardio workout at home due to its compact dimensions and sturdy basic equipment - and it is available at a very good price-performance ratio. Either working out for a beach body or improving your fitness, the Unix M is the right partner to achieve your personal training targets. One of the top models among elliptical cross trainers - the Kettler elliptical cross trainer Skylon S. Being compatible with Smartphones and Tablets, the premium elliptical cross trainer offers a high interactive potential. In combination with the free S-Fit App of Kettler, absolutely new dimensions of training control and analysis are given which make the Skylon S one of the most progressive elliptical cross trainers of its kind. 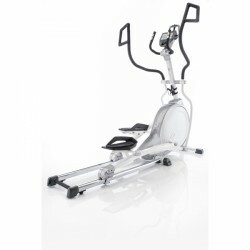 Its range of resistance makes the Kettler elliptical cross trainer CTR3 a real alternative even for professional commercial elliptical cross trainers. The range of load of the CTR3 goes from 25 to 400 Watt. A performance that does not only convince several private users absolutely but experts as well. In the elliptical cross trainer test of the fitness expert journal Fit for Fun 11/2013, the CTR3 was first place among elliptical cross trainers up to a purchase price of 800 EUR. The Stiftung Warentest also praised the CTR3 in its number 02/11 and made it the elliptical cross trainer test winner because of its precise performance display and comfortable build. 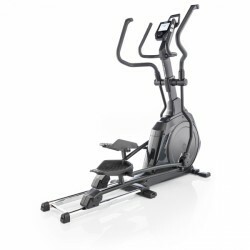 High quality at a low price – the Kettler elliptical cross trainer CTR3.